Gojyo area is nearby the world heritage Kiyomizu temple. 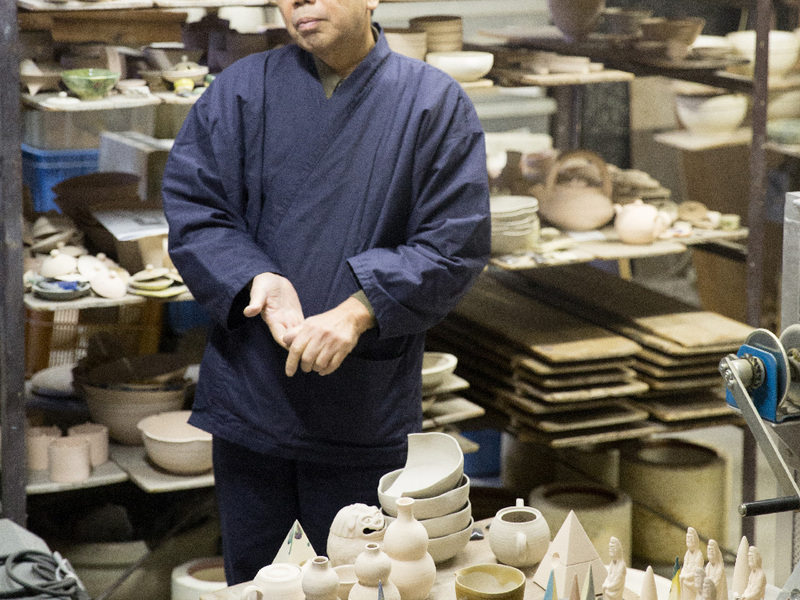 Many potteries have long been established in this area to create beautiful Kiyomizu wares, so the area is also known as the “Town of pottery.” Even today, you can see many workshops and pottery stores in this area. 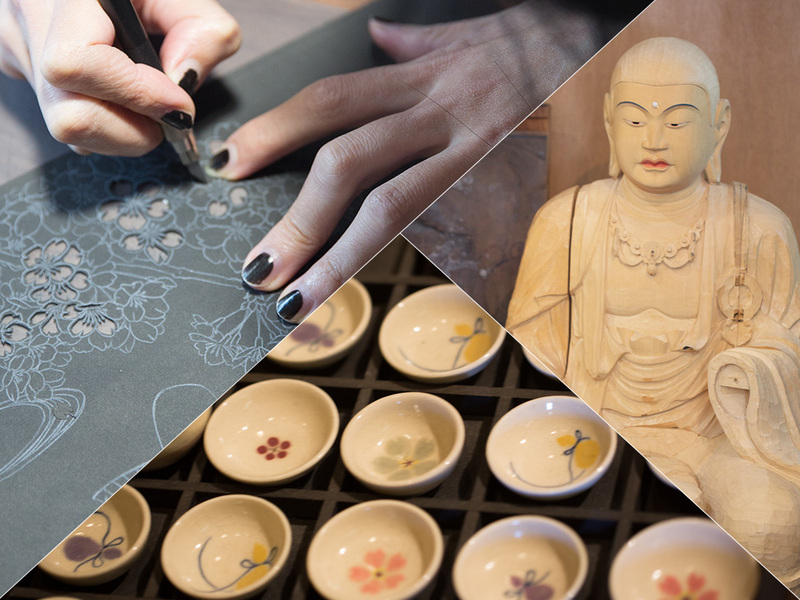 During this tour, we will guide you to observe a pottery (1) and a Buddhist altar equipment workshop (2). Later, we will take you to visit a paper-cutting artist (3) at her workshop set in a traditional architecture called Nagaya (a row house). In this 100-year-old Nagaya named “Ajiki alley,” around ten young artists reside and work together. Since Kyoto has long been a capital city in history, a wide range of pottery culture has developed in order to provide plates and tea bowls. Artisans have refined their skills to meet the requests of their clients with particular taste, and have been creating elegant and sophisticated art pieces. 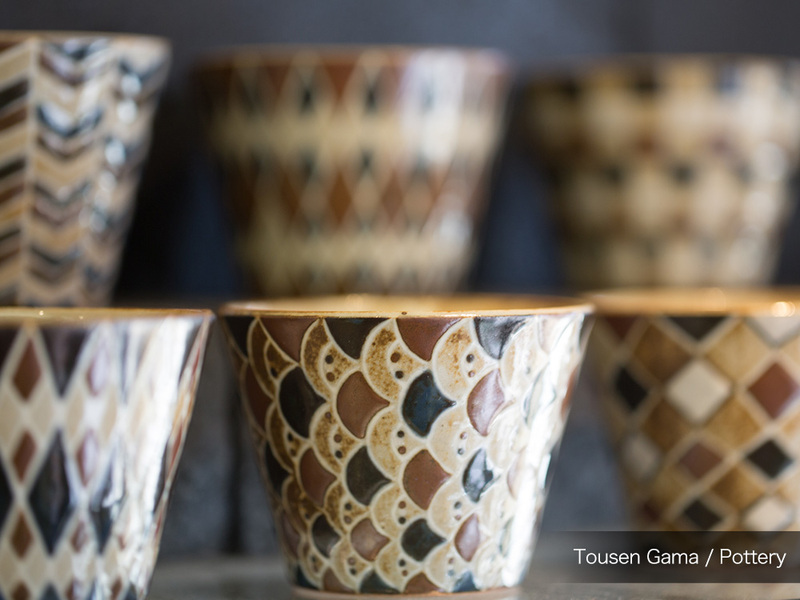 Tousen Gama was established in 1872 as a Kiyomizu ware wholesaler. Their pieces are popular because they are not just traditional, but also elegant, heartwarming, and made to match the modern lifestyles. Since the present master Mr.Tetsuya Taniguchi has a profound knowledge of tea ceremony and Japanese flower arrangement, the esthetic senses of which are also reflected in their pieces. Buddhism is one of the two largest religions in Japan. The pure faith of Buddhists lead to creating beautiful statues of Buddha to worship and long been protected. Many of these statues are carved in wood and painted over with bright colors or plated with gold. 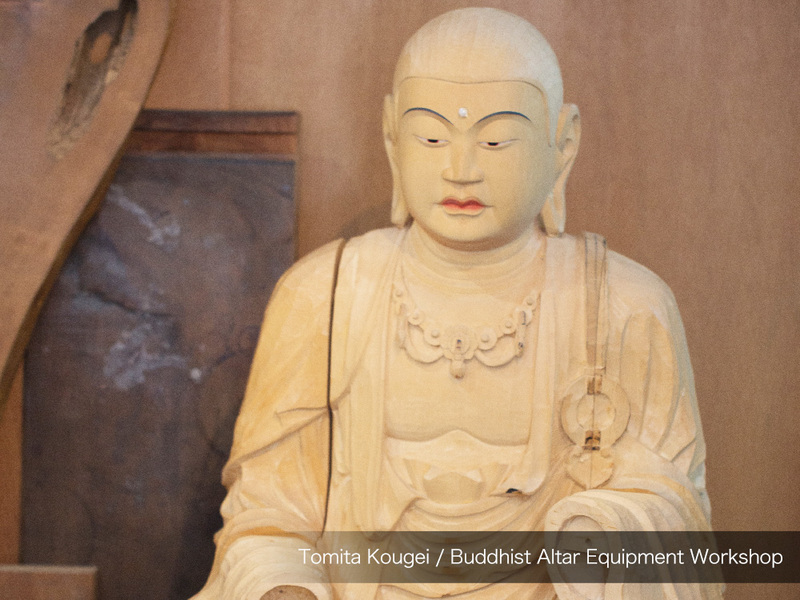 For over 80 years, Tomita Kougei has been creating and repairing those statues and Buddhist altar equipments. As the third generation, two brothers became independent from their father to take over the family business. They work ambitiously in Gojyo area creating statues and also repairing cultural heritages. The younger brother Mutsumi also established a silver jewelry brand using his carving skills to create Buddhist altar equipments.